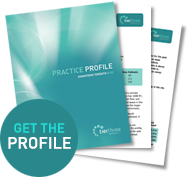 An exceptional opportunity is available for the right individual to acquire a well-established family practice. Take advantage of a laid-back life style. Established over 30 years ago, it has been in its present location for 11+ years. The practice currently runs only 4 days per week, with a strong, sustainable hygiene program already in place. This combined with a below average cost structure, and huge upside potential make this opportunity a real find in the marketplace. The strong hygiene program in the practice is good evidence of the conservative, preventive oriented philosophy, which carries over to conservative dental billings and a healthy level of outbound referrals. A total of over 1000 patients have been to the practice for one or more appointments in the past 12 months, with over 900 patients having one or more hygiene visits, translating into 91% of all patients already established as hygiene patients. The facility includes 3 equipped operatories, a consult room, staff room and doctor’s private office, in a total of 1100+ square feet. There is also a large amount of unused space that could be incorporated into practice space by a future purchaser. The facility has been upgraded on a regular basis, so that it portrays a modern fresh home like appearance. The bonus with this practice is that the facility is owned by the vendor and is also available to purchase. This affords you the opportunity to be your own landlord, so that you can dispense with messy, costly lease negotiations, and you can control any expansion plans you want to eventually consider.